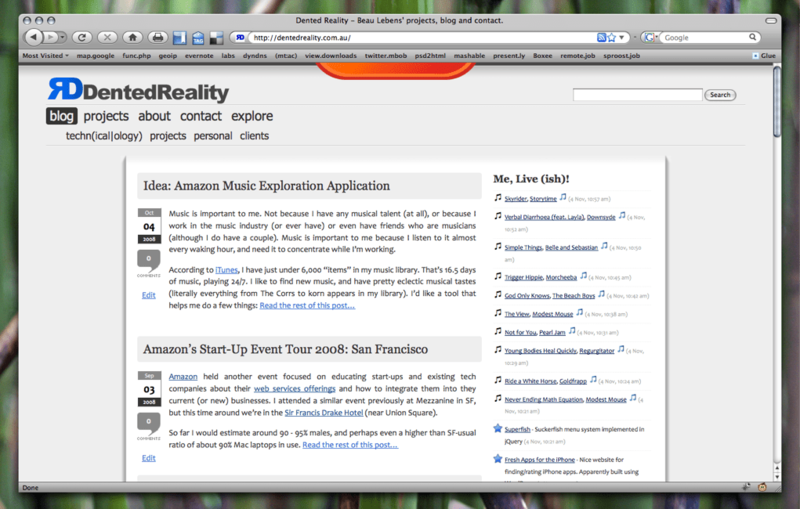 You’re now looking at (I think) the fifth major revision of this website. It’s been a (long) time coming, but I finally got it online today. I thought it would be fitting. It is a day of change after all. 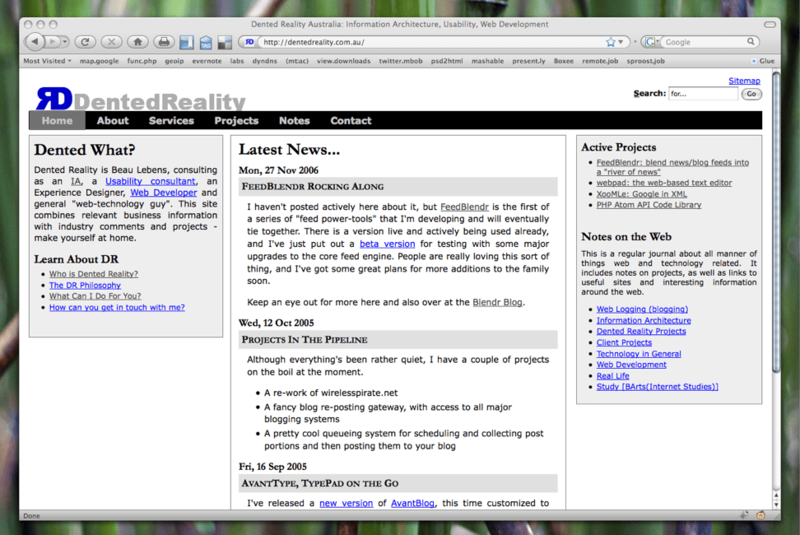 It’s definitely time for a change here at Dented Reality — the previous version was online for around 5 years (April 20, 2003 according to the WayBack Machine). I think it stood up quite well considering the changes that took place in the browser landscape in those 5 years. There are going to be a lot of small tweaks to be done still, and I’m sure there are some broken links etc, but I think this version is quite a step up from the previous one. It reflects a change in direction for the site and I think does a better job of showing who I am and what sort of projects I engage in. Comments are now open (and powered by IntenseDebate), so please feel free to leave a note on what you think of the new site on this post!